Our many years of experience installing and maintaining door entry, access and electronic security equipment ensures that we can meet all of your requirements. Our systems are designed by our dedicated team of engineers to fit your individual needs. We offer a wide range of products to serve a range of properties, from residential to large multi-entrance fully integrated systems. You may choose a simple modular installation, a specialised system involving audio and visual input or a concierge system for the management of properties/developments. Our most popular Door Access installation is the ‘NET2’ system manufactured by Paxton Access, a local company offering excellent back up and technical service. These systems can be stand-alone or computer run, and operated via proximity tokens or cards. Bell Systems offer a competitive range of door entry systems, which can be a combination of basic entry, coded entry or video door entry. 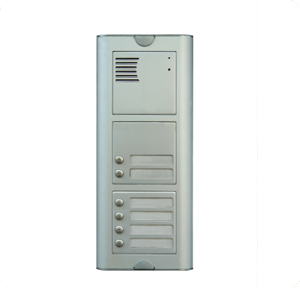 A number of door entry panel finishes can be supplied including brass, stainless steel and vandal resistant. As members of the NICEIC and SSAIB you can be confident that every aspect of our work is carried out to the highest possible standards. We are proud of our acknowledged reputation for completing jobs on time, within budget and never accepting compromise. Contact us today to arrange a free quotation.